The route took the rally drivers from Lima to Pisco in Peru, and the predicted Toyota vs Mini battle got into full swing in the short but tough opening stage of the Dakar. Out of the top ten car teams for the first stage of the Rally, four were Toyota and five were Mini. This makes for an exciting next stage of the Dakar as there is uncertainty over which brand will perform better. There are a number of former Dakar winners contending for this year’s crown, including 13-time champion Stephane Peterhansel (France) in an X-Raid Mini JCW Buggy who finished Monday’s stage in seventh place. 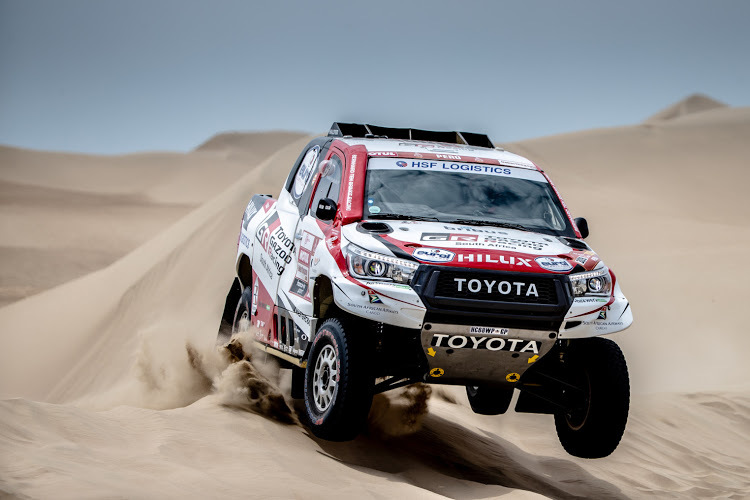 The Hilux, built in Midrand by Gazoo Racing SA Team Principal Glyn Hall, has achieved a number of podium placings since its Dakar debut in 2012 but has yet to win the grand prize. The Dakar Rally ends in Lima on January 17 after 5000km of racing, and only takes place in one country for the first time in its history, with Peru the sole host nation for the 2019 event.